A genius bit of work from the legendary Weldon Irvine – a mightily righteous effort that more than lives up to its heady title and cover! After turning out 2 great albums on his own indie Nodlew label, Weldon really steps into greatness with this set – using the bigger budget of his deal with RCA to expand out his musical vision in a number of different directions. Keyboards are still very much at the forefront of his sound – played with that heavily vamping left hand that makes his work so funky – but there's also a focus on lyrics here too – sung by Weldon with support form singers Ojuleba & Nalo, in a way that creates a righteous "many voiced" mode on the lyrical tracks! 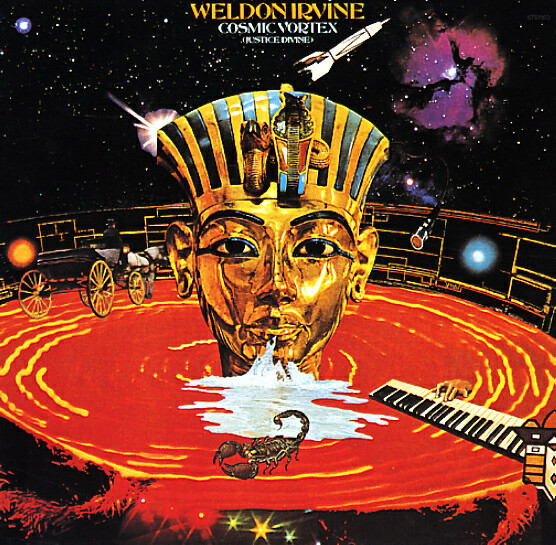 Things get plenty jazzy on side two, though – and a few key tracks really take off in a heavily jamming way, mixing Weldon's keys with additional reeds, guitar, and percussion. Titles include excellent track "Walk That Walk, Talk that Talk", plus other great ones like "Love Your Brother", "Let Yourself Be Free", "Quiet", "I'll Name It Tomorrow", and "Love Jones". © 1996-2019, Dusty Groove, Inc.